Tropical fish like it hot. It’s true that some can survive in colder water, but no tropical fish does well in cold water for long. 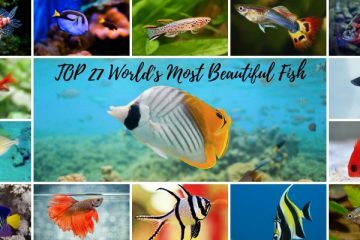 If you want happy, healthy tropical fish, get a heater! A 50-watt heater is all it takes for a tiny tank to be a healthy environment for your fish. 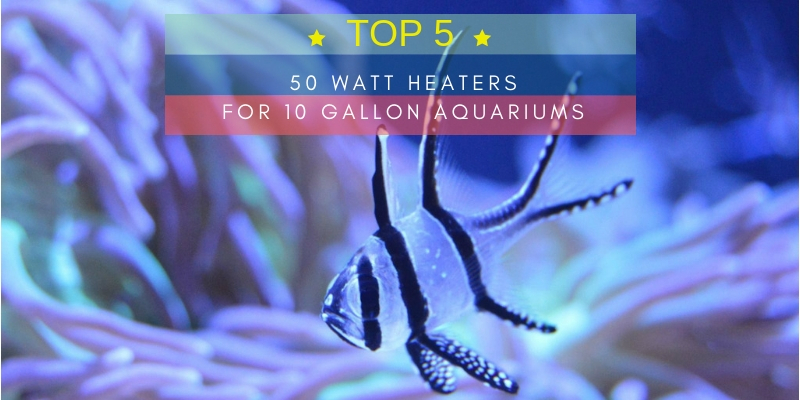 You don’t need to spend a fortune to get the best 50-watt heaters for 10-gallon aquariums. 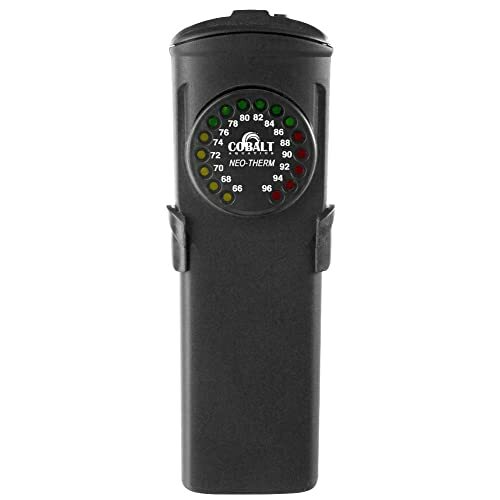 The Cobalt Aquatics Neo-Therm Heater comes in 3 different sizes: 50, 75, or 100 Watts. As the wattage increases, the heater increases its capacity. More wattage gives more heat. The smallest size, the 50W, is for tanks around 10 gallons. The others are for 20 and 30-gallon tanks respectively. Regardless of size, the heater looks the same with the height being the only difference between them. This heater is black metal in the shape of a tall, flat rounded rectangle. In the center, it has a dial that serves as both a thermostat and a thermometer. You’ll see the current water temperature as well as the temperature it’s set to. Adjusting the temperature is simple. It’s a one-touch system with a button on the top. Temperatures are accurate within 0.5 degrees F.
For square or rectangular tanks, this is a good heater. It doesn’t take up much space within the tank but keeps a consistent heat anyway. An update on the classic tube heater, the Aqueon Pro submersible heater is a black plastic tube heater. The outer casing is made from shatter-resistant metal rather than glass, making it durable to wear and tear. Additionally, the outer shell is corrosion resistant. This is a 50W heater meant for tanks up to 10 gallons. It heats in a range between 68 and 88 degrees F. When heating, a red light turns on. When it’s not heating, a green light turns on. 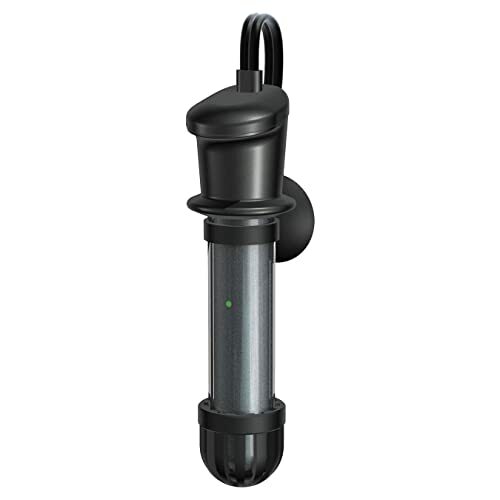 As a fully submersible heater, you can put this anywhere in your tank without thinking about keeping it dry. If it over-heats, it will automatically shut off to prevent catastrophe in the tank. Once the heater cools down, it turns back on again. The built-in thermostat is rated as accurate to about 1 degree F. Depending on the setup of your tank, you will place the heater vertically or horizontally. For tanks with little space, or for keepers who want more options, the tube aesthetic is nice. It’s a durable and easy-to-use heater. This Finnex titanium heater is a simple and straightforward tube heater for your tank. It comes in 50, 100, 150, 200, 300, and 500 Watt sizes. The heater looks the same in all sizes, with the difference simply being the power of the electronics inside. Rather than having the temperature control on the heating element, this heater’s controls are further down the cord. You can fully submerge the heating element because of the location of the controller. On the controller, you can set the temperature accurately between 70 and 92 degrees F. Numbers are written in 2s, but lines in between the numbers indicate the odd numbers. Over the titanium heating element, a black metal casing protects the inhabitants of your tank. They won’t be able to touch it directly, preventing accidental injury or tank damage. All submersible pieces are corrosion-resistant. For temperature readings, the thermostat sits on the upper part of the heating element. 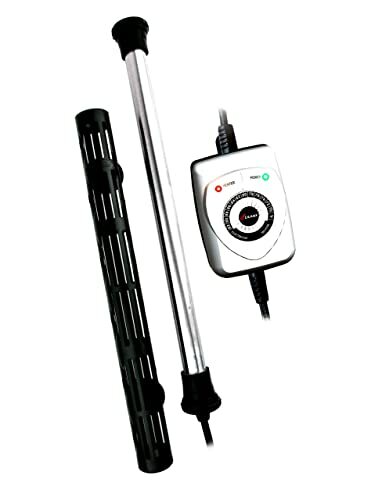 Temperatures are rated as accurate within 2 degrees F.
With controls separate from the heating element, this is a nice choice for more hands-on fish keepers who don’t want to get in the water too much. Adjustments are simple on the outside controller. 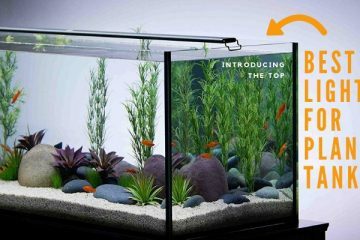 Going back to the traditional glass tube heater, the Fluval M is a basic fish tank heater available as 50, 100, 150, or 200 Watts. The outside is made from reflective borosilicate glass while the interior heating element is a high-density ceramic material. According to Fluval, this is a fully submersible heater. Arrange your tank as you want it without worry about where the heater sits. Also, the tube is very thin for easier placement and a low profile appearance. The exterior glass of the heater is highly reflective. In the tank, it blends in well without looking out of place. It doesn’t stick out and isn’t as noticeable as a black or colored heater. Adjust the water temperature with the spinning dial on top of the heater. Twist it to point to the temperature you want the heater to run at. Once that temperature is reached, the heater will turn off automatically to conserve energy and maintain heat levels. If you’re looking for a heater that won’t stand out as much, this model from Fluval could be good for you. It’s a simple, basic water heater without any bells and whistles. As far as heaters go, it’s pretty standard. So, what’s the catch? With its smaller footprint and simple design, the Tetra HT submersible heater is made for small tanks with hoods. 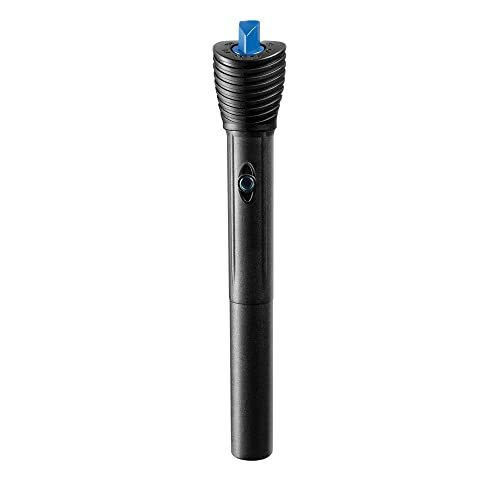 As a fully submersible heater, it goes anywhere you put it, horizontally or vertically. The sleek body and short height help it fit in most tanks easily. You can get it in 50 or 100-watt sizes. When it arrives, the heater is already pre-set to 78 degrees F. This is the standard setting to help you get your tank up and running with as little work as possible. 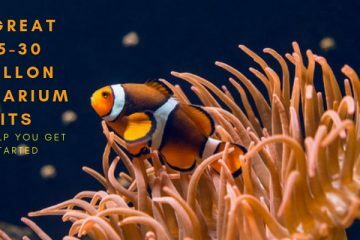 Most tropical fish thrive at this temperature, so it’s suitable for a majority of tanks and will automatically keep the temperature at 78 without you having to do anything. A small LED light on the front of the heater indicates if it’s on or not. When it’s heating, the light will be red. When the temperature is okay in the tank, it will be green. The Tetra HT heater works best in tanks with hoods or covers. Without a cover, the heat may leave the tank too quickly for the heater to keep up. It will work best when the heat is contained within the tank. Great for small or nano tanks with hoods, this little Tetra heater is a solid option that’s both convenient and consistent. Get your 10-gallon tank up to standard today! 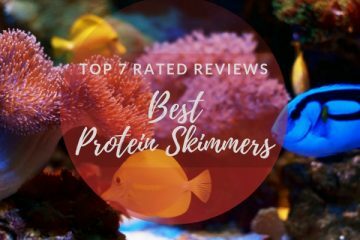 Don’t wait any longer to warm up your cold little tropical fish. If you want something a bit modern, try the Cobalt Aquatics Neo-Therm Heater. 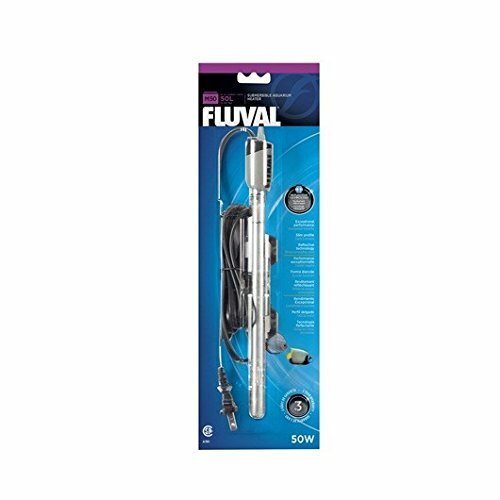 For a more traditional glass heater, the Fluval M Submersible Heater is a good choice. 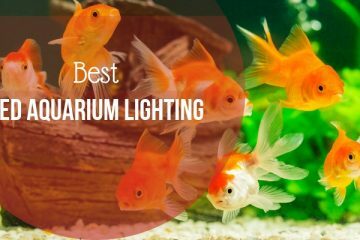 Whichever you think are the best 50-watt heaters for 10-gallon aquariums, it’s time to get one for your own tank. 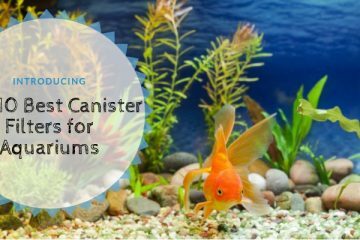 Help your fish to thrive with a great quality of life as long as they’re under your care.